Information about the images, buying prints and image licensing. - Click on the thumbnail at the left for a larger main view at the right. Click on the main view to see an even larger, easier to read view. 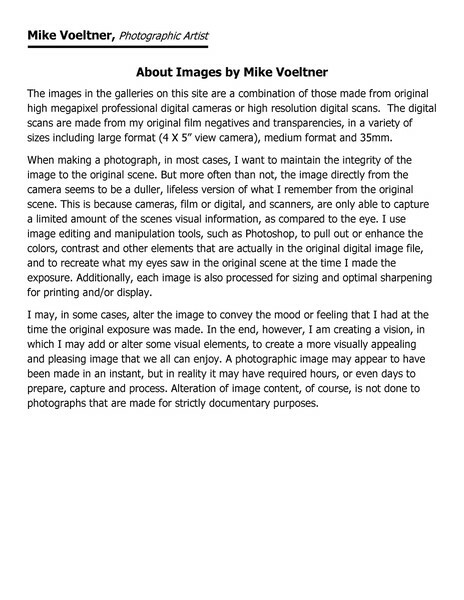 A brief general description about the making of these photographs.